Coinbase is continuing its work on widening trading opportunities for its customers with a view to making all digital assets available on its platforms. Though it is too early to speak about all digital assets, step by step Coinbase is adding new tokens to the growing group of the already listed ones. This time, the company has announced support for three new tokens on its professional trading platform Coinbase Pro. 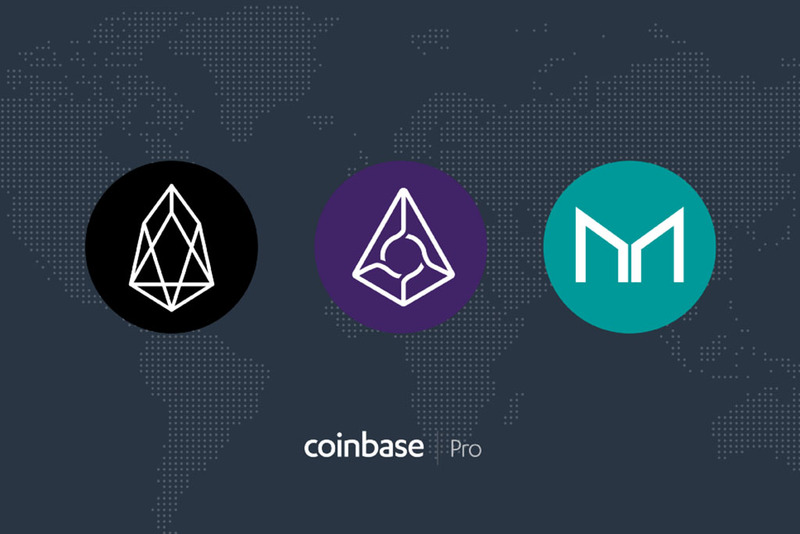 Now Coinbase Pro will get an opportunity to work with EOS, Augur (REP) and Maker (MKR). On April 8, the platform started to accept deposits in these three assets. According to the information provided by the company in its official blog post, it was planned to accept deposits for at least 12 hours before trading would be enabled. As soon as necessary liquidity is reached, trading will begin in the following pairs: EOS-USD, EOS-EUR, EOS-BTC, REP-USD, REP-EUR, REP-BTC, MKR-BTC, MKR-USDC. Nevertheless, not all platform’s users will have an opportunity to trade the newly-added digital assets. For example, EOS and REP are to become available practically in all jurisdictions that are supported by Coinbase Pro, but residents of New York State won’t be allowed to deal with these digital assets on the platform. As for MKR, residents of the US will be deprived of the possibility to trade it, nevertheless, it will be available in all other Coinbase Pro-supported regions. It is also said that later some additional jurisdictions may be added for each asset. At the current moment, these assets are not available on Coinbase.com and in Coinbase mobile apps, but the company doesn’t deny that the situation may change in the future. When it happens, Coinbase will make a separate announcement. As for the choice of these assets to be added, Coinbase explains it by the associated functionality of each of them. For example, the EOS network is often viewed as one of the main rivals to the Ethereum network as it supports the development of dapps and more and more developers have started to use it for their projects. REP is the crypto that underlies Augur, an open-source, decentralized prediction platform. Its main aim is to be used for reporting and disputing the outcomes in online prediction markets. And MKR is a utility token, governance token, and recapitalization resource of the Maker system. Let us also remind you that just recently Coinbase Pro has announced adding support for XRP and Stellar Lumens (XLM). Such a move had a strong influence on XRP price at that time. It is said that quite soon these assets will be available for users of Coinbase.com and Coinbase trading app for Android and iOS. Moreover, earlier this month, Coinbase has expanded into cross-border payments. Thanks to this initiative, its customers are able to transfer their funds to any user who has a Coinbase account in any country of the world using XRP or USDC, without any fee. Now users can not only send and receive money instantly but also convert their funds into local currency.